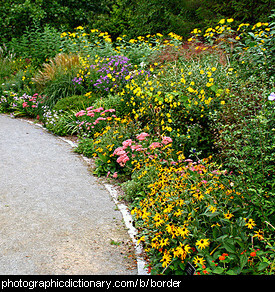 Borders and edges and barriers, impenetrable or passable. A barrier is something that stops people or animals getting through. 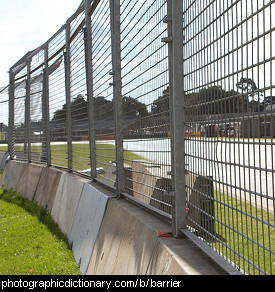 Barriers may be man-made or naturally occurring. 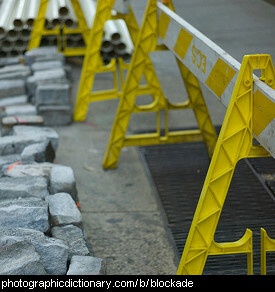 A blockade is a barrier, usually put up by a military or police force, that stops people or vehicles from getting through. The boundary of something is the edge or border of an area. 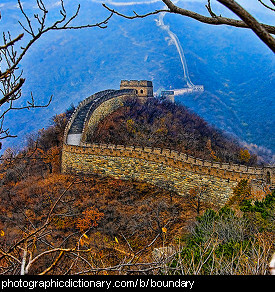 The wall in the picture marks the boundary of ancient China. An edge is a line or border where one thing stops and another thing starts. Edges are very important for finding your way around in the world, and most animals have eyesight designed to detect the edges of things. 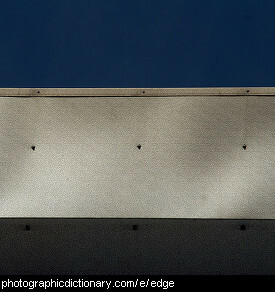 The picture clearly shows the edge of a building against the sky. 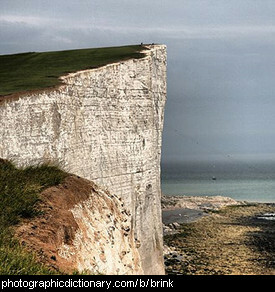 A similar word to edge is boundary. A fence is a structure that people make. Fences are usually there to keep something on one side of the fence from getting to the other side, or just to mark a boundary. 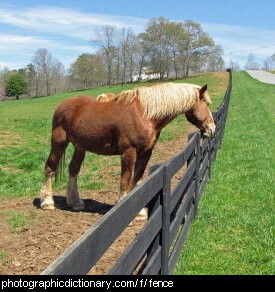 The horse in the picture is being kept in her paddock by the fence. Fences can be any height. In cities they are usually quite high, and on farms they are usually just high enough so whatever animal is being kept cannot jump over it. 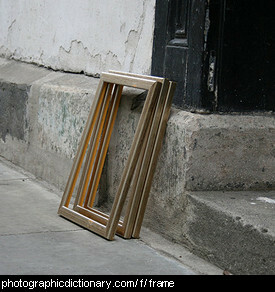 A frame is a rigid structure that is built to go around the edge of something. Picture frames are a pretty way of surrounding a picture. Frames for a building are put in place to mark out where the walls and other structures go, and to support the structure as the spaces are filled in with bricks or other materials. 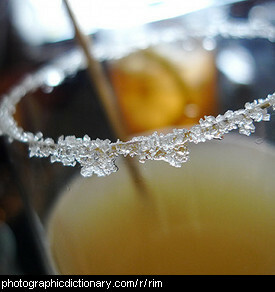 A rim is the very edge of something, usually something round like a cup or a wheel. When it is the topmost edge rather than the outer edge, it is also called the brim. A surface is a two-dimensional plane. The surface of a three-dimensional object is its boundary. 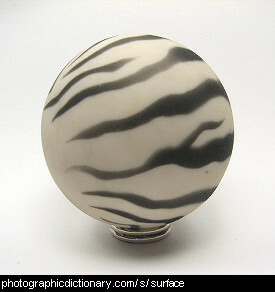 The surface of the ball in the picture is covered in stripes. A two dimensional object like a piece of paper has two surfaces, one on each side.